Since the beginning of competitive livestock events, judging has served many functions, primarily in evaluating, influencing, and setting the direction of industry cattle types through visual evaluation of phenotype. Since these early shows in the 1800’s, thousands of individuals have accepted the responsibility of serving as the “official judge.” Jack Ward, Missouri, has served as a professional judge for many national-level shows for more than twenty years, and feels that it is important for judges to realize the valuable role they provide to the industry. “In addition to helping set trends and types, the importance of judging is to provide dialogue between breeders on where the industry is headed,” says Ward. 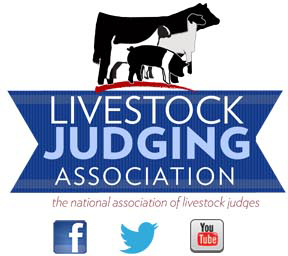 “Many professional judges also enjoy the opportunity to judge shows for the opportunity to inspire and motivate young people in the livestock business,” says Jim Williams, Texas, who has judged over thirty different state fairs in the United States for the past thirty years. Judging also provides additional opportunities to meet new people, travel, see good livestock, and be compensated for your time and knowledge (though significant financial profits from livestock judging is not likely).